Sky divers…Live Music…Petting Zoo…Great Food…Dunk Tank for Politicians…..Ahhhhhh! Its 4th at the Fountain! Did you ever want to dunk your favorite ex-Mayor in the dunk tank? You will when it’s Former Mayor Jay Schlum of Sonoran Lifestyle Real Estate at this year’s 4th at the Fountain in Fountain Hills. Come on out and enjoy an old-fashioned 4th of July celebration in Fountain Hills. The evening kicks off at 5 p.m. Entrance is $5 per person, and kids under 12 are free. Fun for all ages includes a Petting Zoo and Bouncy House for the little kids and live music with the Aging Hipsters for the aging hipsters in the crowd. Food will be provided by Phil’s, Noon Kiwanis, and Hometown Dogs, and the VFW will have beer, wine, mixed drinks, and soda/water. Live music is scheduled throughout the event, but the real entertainment will be watching which of the locals will be a star at the dunking tank…State Senator Michele Reagan will also be getting in the dunk tank at 5:30 p.m. and former Mayor Jay Schlum gets his chance at 6:30 p.m. But wait…there’s more! 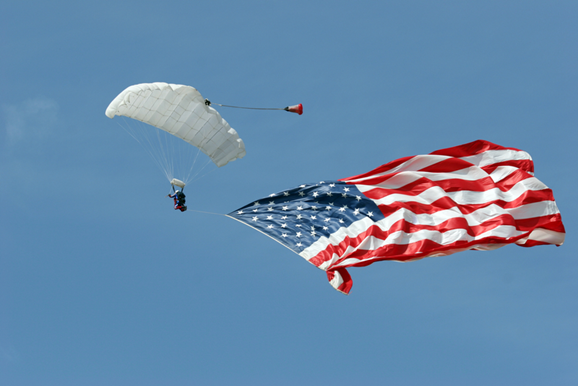 At 8:30 the Arizona Skyhawks Parachute team will fly over in a spectacular lighted display of skydiving skill. The precision of the team is breathtaking, and a delight to all who see it. After the Parachute exhibition, live music will resume until 10 p.m.
Attendees will also have the opportunity to donate to the Wounded Warrior Project. Midfirst Bank will match up to $1,000 of any monies donated July 1 through July 6th. There will be a counting ceremony on 7/6 at 10:00 a.m. at Plaza Fountainside, and John Gibson from the FH Times will be the MC for the event. When: July 4, 2013, 5-10 p.m. This entry was posted in Area Events, Clients, Customers, Friends & Family and tagged 4th at the Fountain. Bookmark the permalink.